This April our Junior Chefs got together to make parfaits. It is a simple and nutritious snack that all toddlers can help out with at home. All you need is yogurt, some fruit, cereal and / or granola. The kids picked their topping of choice and made their very own parfaits. We moms polished off the leftovers! What is our Junior Chef Program? It is just one more program included with your momstown membership! 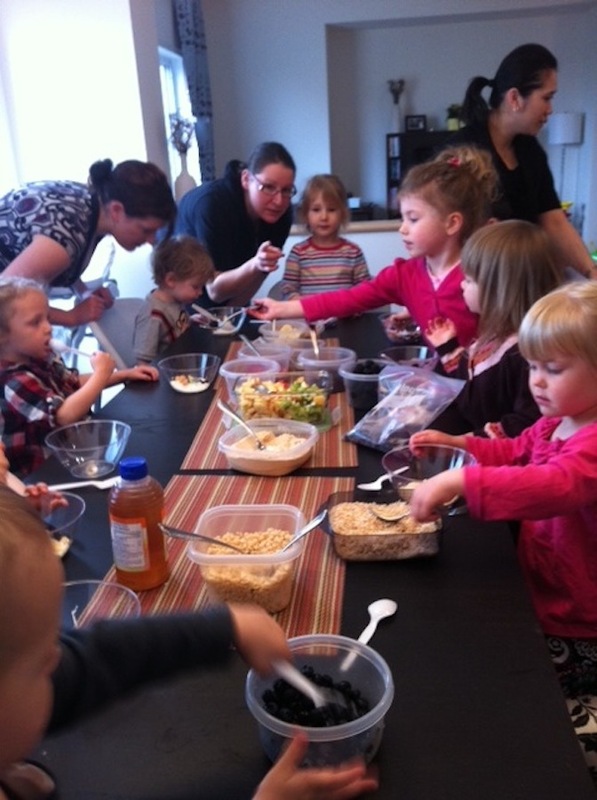 momstown kids get busy in the kitchen creating their own mini meals! Come and learn fun new ways to create your child's favourite snacks in this hands-­on program. This event is aimed at children 18 months and up. Register today at momstown Winnipeg to sign up for our next Junior Chefs!